Conspiracy minded Beatlemaniacs would argue that having Paul and Stella on this list might be controversial, especially since Paul died in 1966. Or did he…? Theories claim that Paul died in 1966 and was replaced by McCartney look-alike Billy Shears to prevent mass suicides from sorrow stricken fans. Since then, his doppelganger has gone on to marry Linda McCartney and father four children, feud with Yoko Ono, and form the band Wings. All the while amassing a billion-dollar fortune. Pretty good for an understudy. 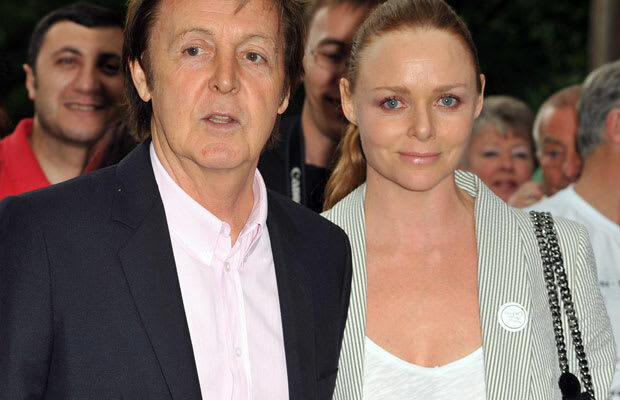 Stella McCartney, daughter of Sir Paul, is a fashion designer. And what better way to kick start your career then by having your college graduation collection modeled for free by supermodels Naomi Campbell, Yasmin Le Bon and Kate Moss as they strut down the runway to a song written for you for your collection by your famous father, and then having the entire collection picked up by London boutique, Tokio. She gained recognition when she was appointed Creative Director for Paris fashion house Chloé, following Lagerfeld’s departure where she enjoyed critical success. But her reign was slightly tainted by whispers that her assistant and friend Phoebe Philo (now at Celine) had done most of the work. McCartney soon left to start her own eponymous brand via Gucci, proving her skills as a designer, and has been lapping up the fashion limelight and dollars ever since.